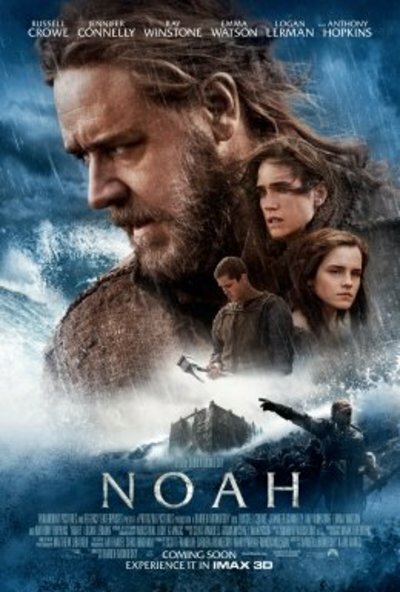 Noah stars Russell Crowe, Jennifer Connelly, Emma Watson and Anthony Hopkins. It is a dramatization of the story of Noah’s Ark. It is filled with unique cinematography, medieval battles and rock angel things. It was a very unique take on the story of Noah. What did you think of the film? I didn't go to see it. Heard such bad reviews that I didn't see this one. I thought this was a real slap in the face to those who are devout believers in the bible. I am not really a believer, but still felt offended on behalf of those that do. It was like they tried to turn the story of Noah's Ark into Lord of the Rings. The cinematography was cool although hard to follow at times, but all in all, I wish I had passed on this flick. It's got RC in it, so wouldn't be bothered wasting my money & time. Same goes for any film he's in. Can't stand him. He's got too many 'issues' he needs to sort out.